Assembly Members will receive their full pension entitlement - even if they never return to Stormont. Almost two-and-a-half years since they last convened, they are still entitled to the same pension levels they always were. Their salaries have been reduced from £49,500 to £35,888 in two stages since last September because they are not performing the full range of their legislative functions while Stormont is mothballed. But despite the two salary cuts imposed by the Secretary of State, pension pot levels have stayed the same. With a new Assembly election now envisaged before devolution can be restored, a significant number of the MLAs are expected to retire rather than run again. 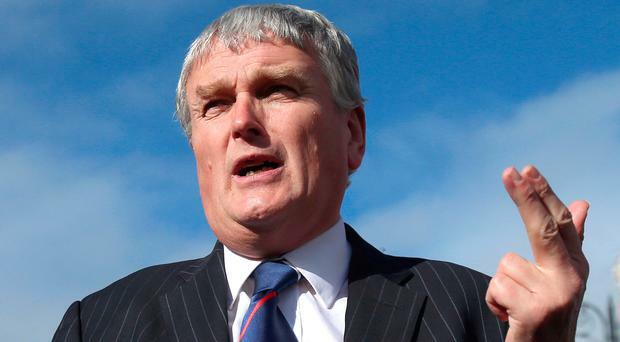 Assembly pensions trustee Jim Wells of the DUP told the Belfast Telegraph that the MLA pension scheme, which is comparable to those available in other devolved assemblies in the UK, is audited and checked by the NI Audit Office, by actuaries and by independent external consultants, and "has always received a clean bill of health". Mr Wells confirmed last night that while MLAs now pay 12.5% of their reduced salary of £35,000 into their pension pot, they continue to build up pension entitlements as if they were still receiving their full pay of £49,500. Mr Wells also voiced concerns that media focus on the salary and expenses of public representatives made it impossible to attract a representative cross-section of society to stand for election. "It's a very volatile career, and we are not attracting enough high-calibre people who are prepared to leave secure long-term careers to enter full-time politics as an MLA," the long-serving South Down representative said. MLAs are still paying up to 12.5% of their salaries into the pension scheme, which is separate from the Civil Service or local government schemes and comes in addition to the state pension. As its employer, the Assembly Commission, which is responsible for the day-to-day running of Parliament Buildings at Stormont, also contributes to the MLAs' pension pot, which is known as a 'career average scheme'. A source explained: "Each year an MLA is in post, he or she accrues a pension of one-fiftieth of their average salary. "If their average salary was £50,000 at the time of their retirement, then their pension would be £1,000 for each year of service. The average MLA serves eight years at Stormont and can expect a pension of around £8,000 per annum." Chairman of the Assembly pension trustees, Alliance MLA Trevor Lunn, told our sister paper Sunday Life it had not been the decision of MLAs themselves to keep the present arrangements. "The decision to maintain members' pension entitlement was taken at Westminster level, it had nothing to do with the trustees or members of the pension scheme," the Lagan Valley MLA said. "Neither myself or the other trustees (representing the DUP, Sinn Fein, SDLP and Ulster Unionists) had any input into the decision to reduce our salaries or the decision by Her Majesty's Government to maintain our pension entitlement during this period. "We do not control contribution levels or the benefits allocated, they were set by the Independent Financial Review Panel."